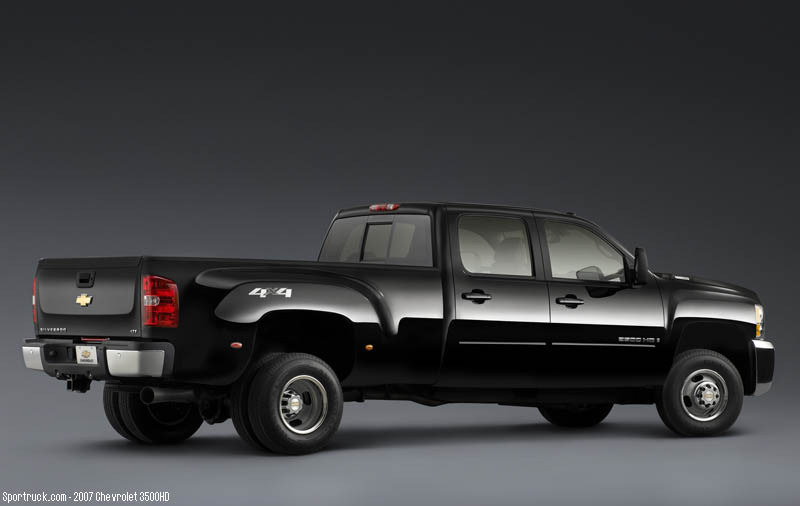 The new 2007 Chevrolet Silverado heavy-duty pickups are coming in early 2007, and this is a first look at the all-new model. 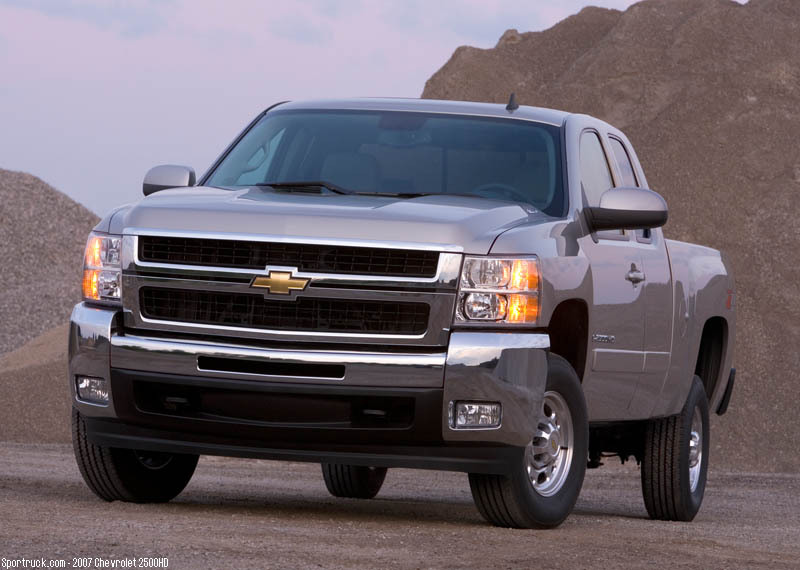 Immediately you will notice the new exterior design, a beefed-up version of the new half-ton 2007 Silverado. 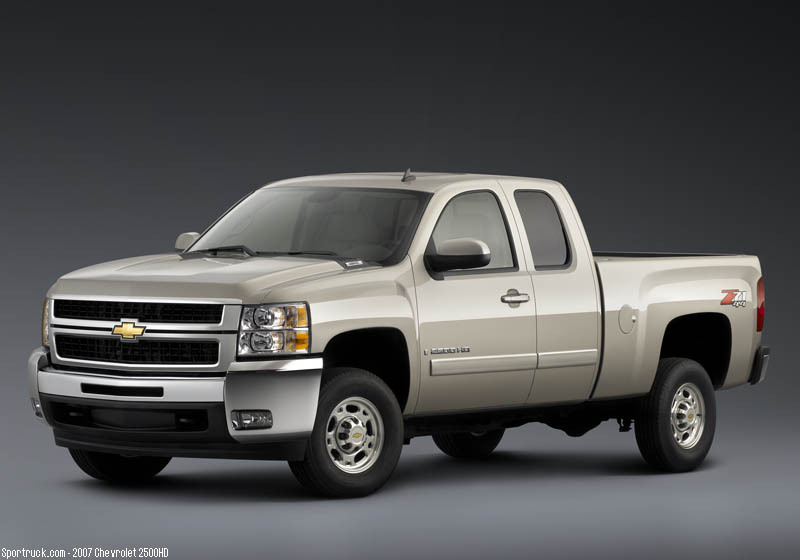 Under the hood you will find more powerful engine choices, and inside you will find an interior that is available in two distinct styles, shared with the new Silverado lineup. 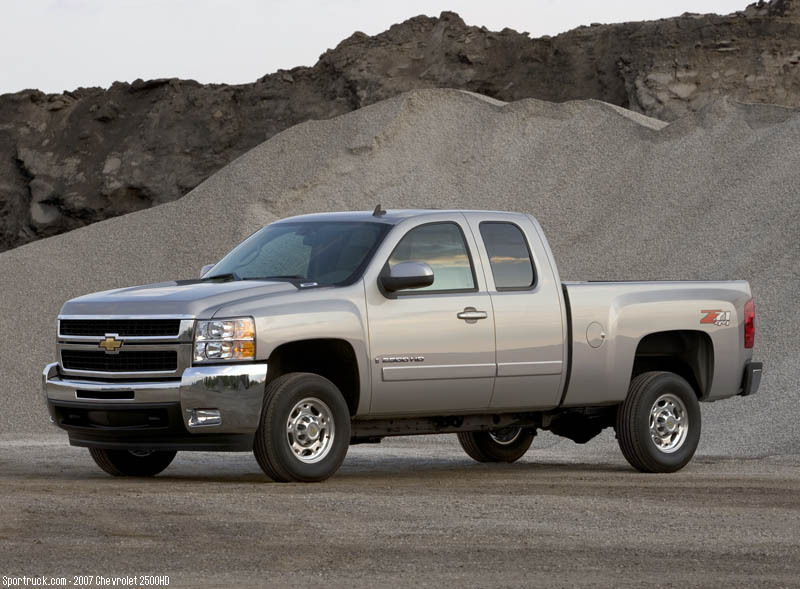 The new heavy-duty Silverado is available in two flavors: the three-quarter-ton 2500HD and the one-ton dually 3500HD. 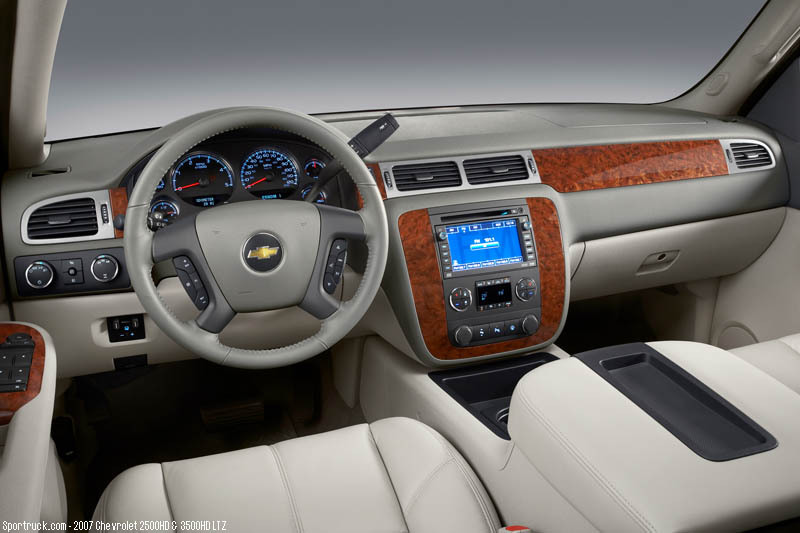 Available in one of three trim levels: WT, LT and LTZ. 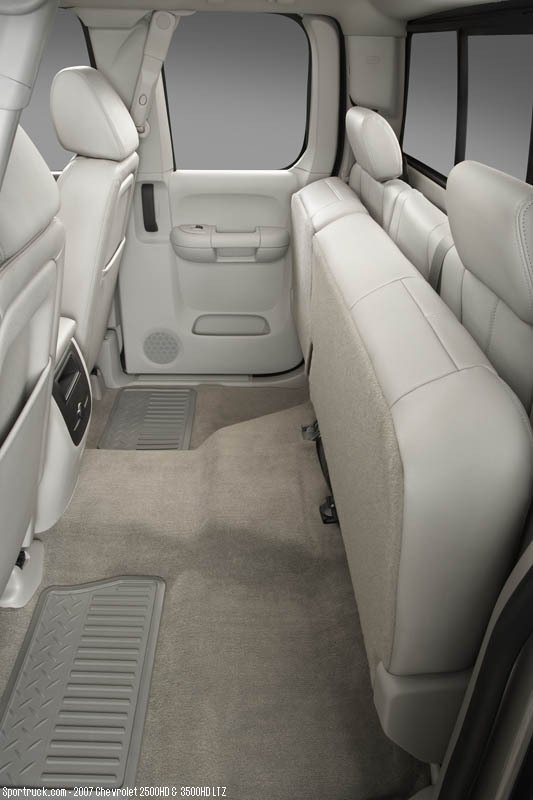 Add this to the three cab configurations and three cargo box styles, and you will find that the new heavy-duty lineup covers five wheelbase lengths. 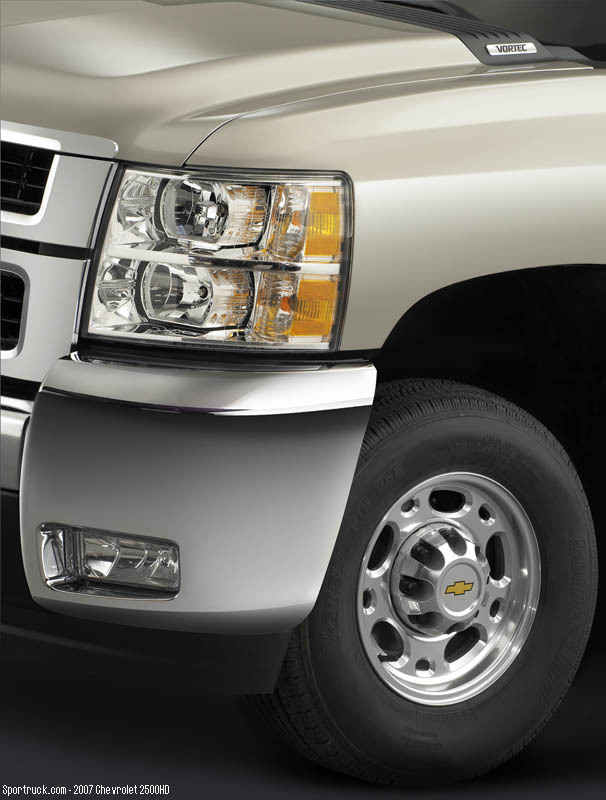 The new Silverado heavy-duty models are differentiated from the half-ton trucks by a unique grill, headlights, hood and front fenders. 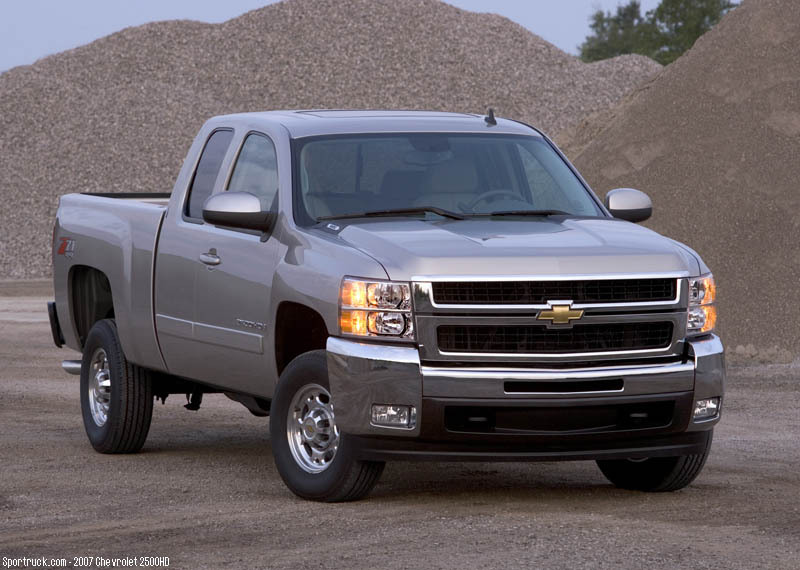 The grill is taller and wider with a split center bar. 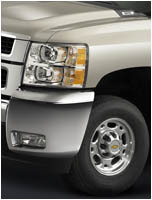 The headlamps with integrated corner lights are taller, and blend into wider, flared front fenders. 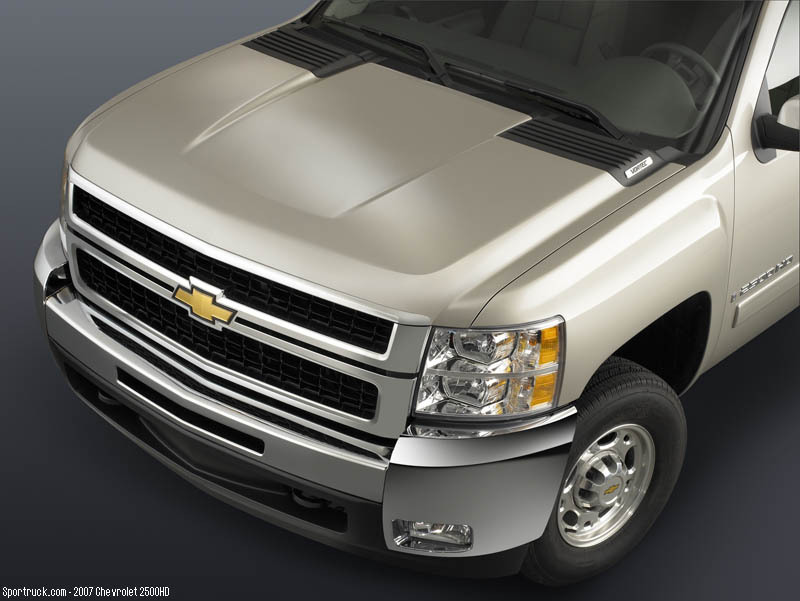 The hood features a more prominently raised power dome design. 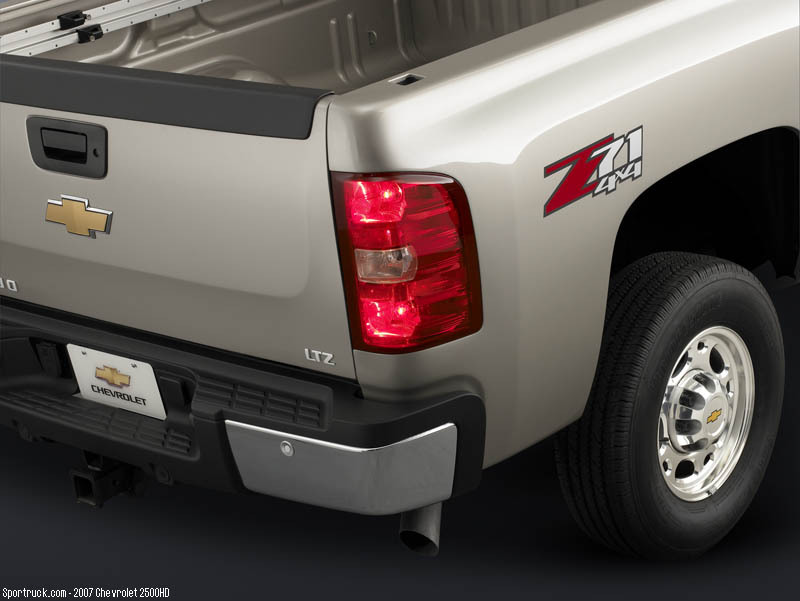 The bumper is taller, and features a center opening and is flanked by taller chrome end sections, available with integrated fog lamps. 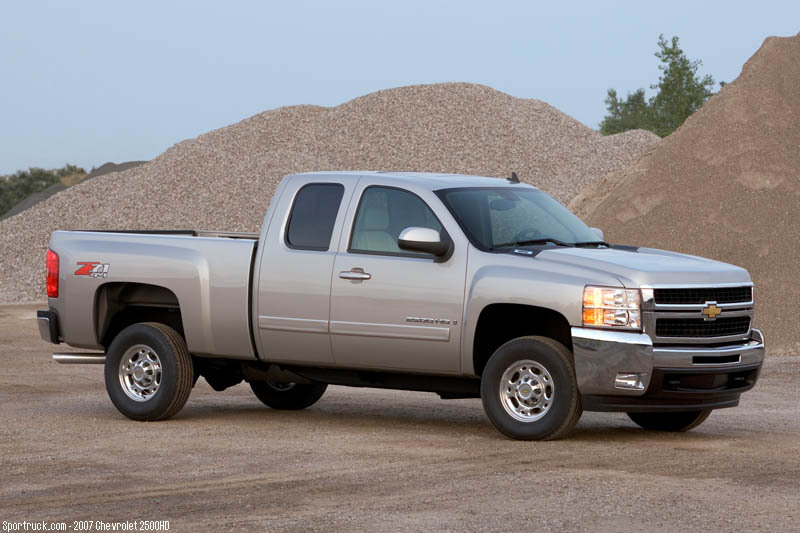 Silverado heavy-duty trucks are offered in regular, extended and crew cab configurations, available with either a standard 6.5-foot bed or a long 8-foot bed length. 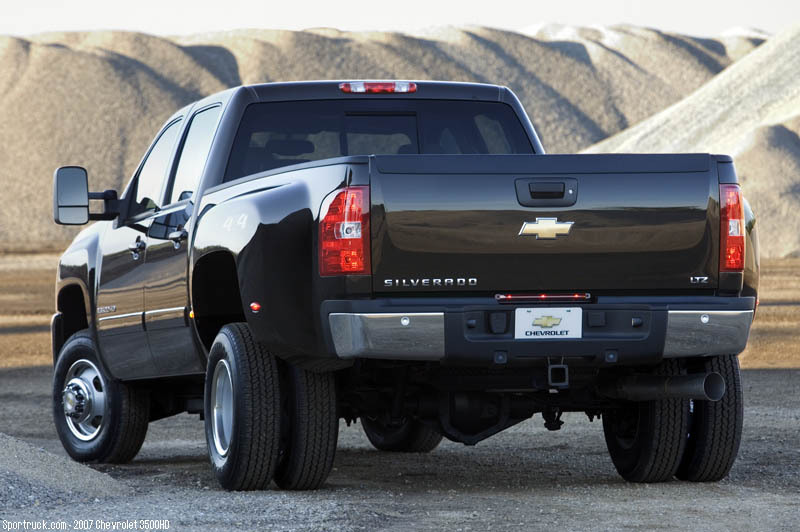 The Silverado 3500HD dually model uses a dual rear wheel configuration with the long bed length. 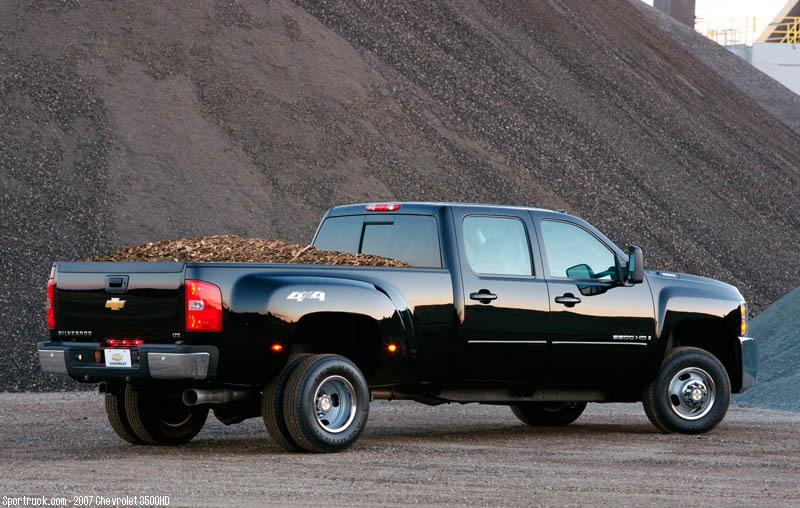 The pickup bed has been designed with a one-piece wheel well and inner box side to both add strength and to provide a smoother appearance. 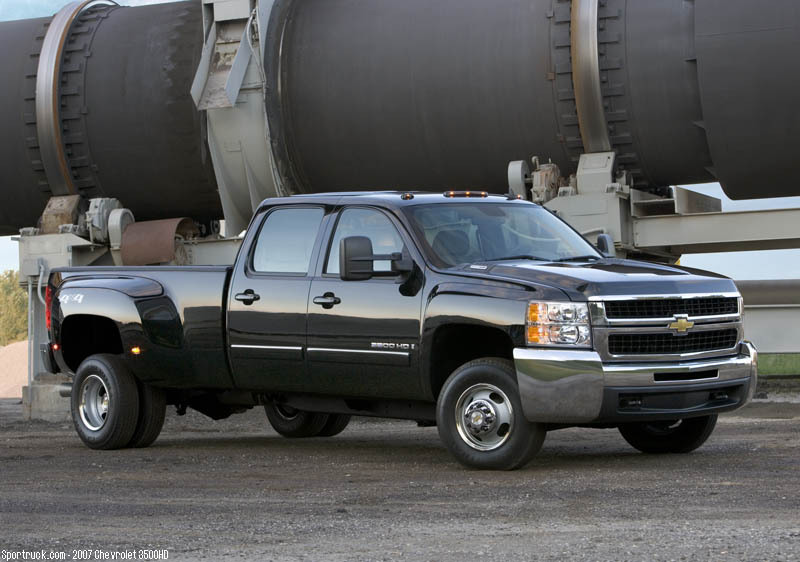 The dually cargo boxes are made of all steel, including the hydroformed sheet metal outer fenders. 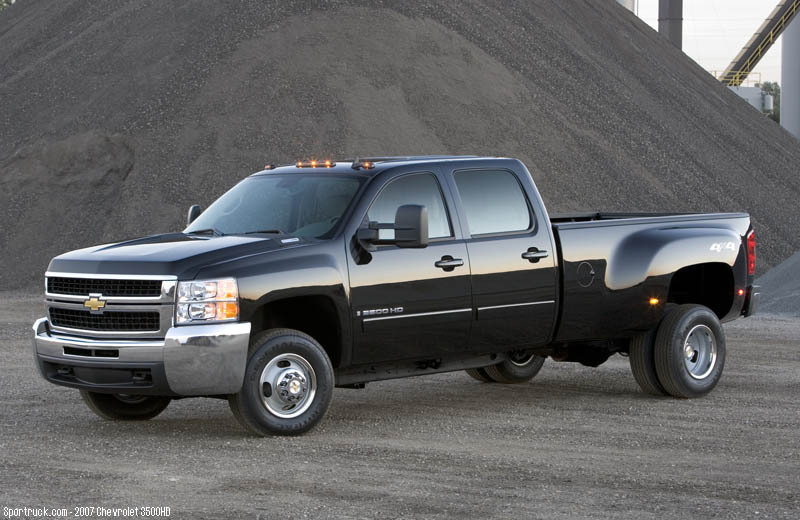 Dually models have marker lights on the rear fenders and low-profile roof lights on the cab. 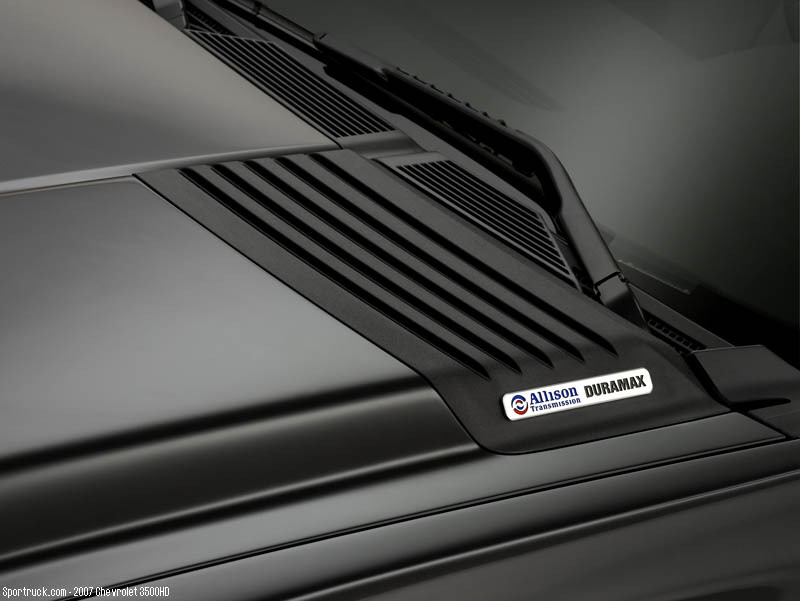 The tailgate has been enhanced by providing a locking feature, and is available with an optional EZ Lift torque-assist system. 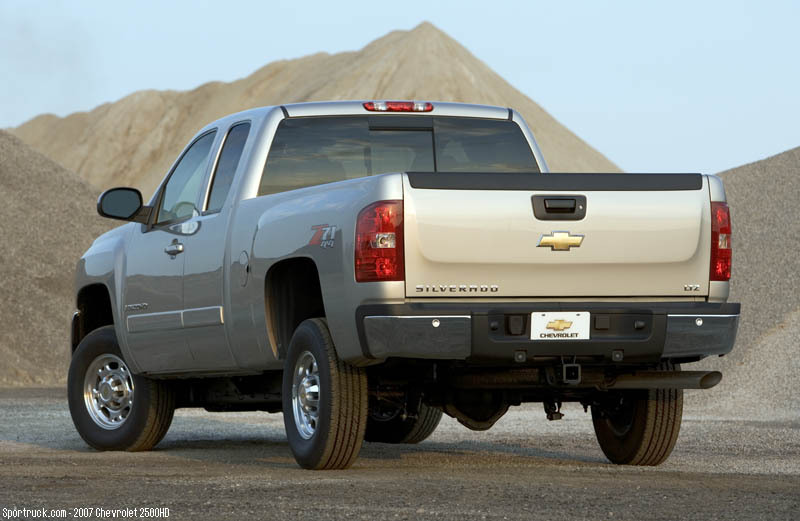 Even though the tailgate is larger than the previous generation, these features in addition to a lighter construction makes the tailgate easier to operate, and is easily removed by opening it to a 45-degree angle and pulling straight out. 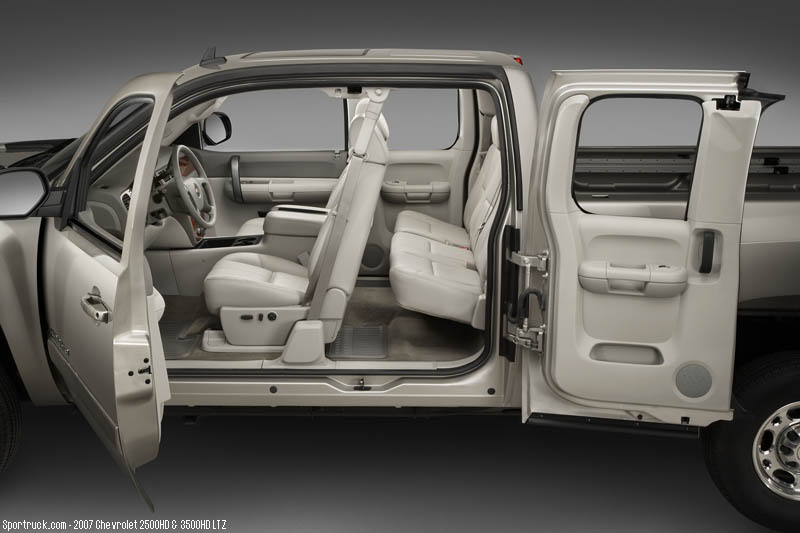 Inside, the new heavy-duty trucks have more room, more comfort and a more upscale appearance thanks to the enhancements of the new Silverado. 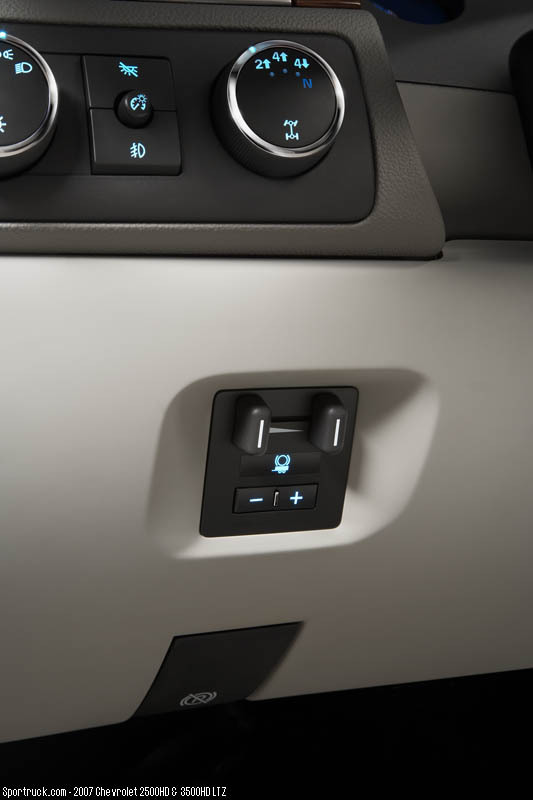 The WT and LT trim levels feature the functional "pure pickup" interior design theme carried throughout the interior, including the dash design, door panels, and instrument panel, and seat design. 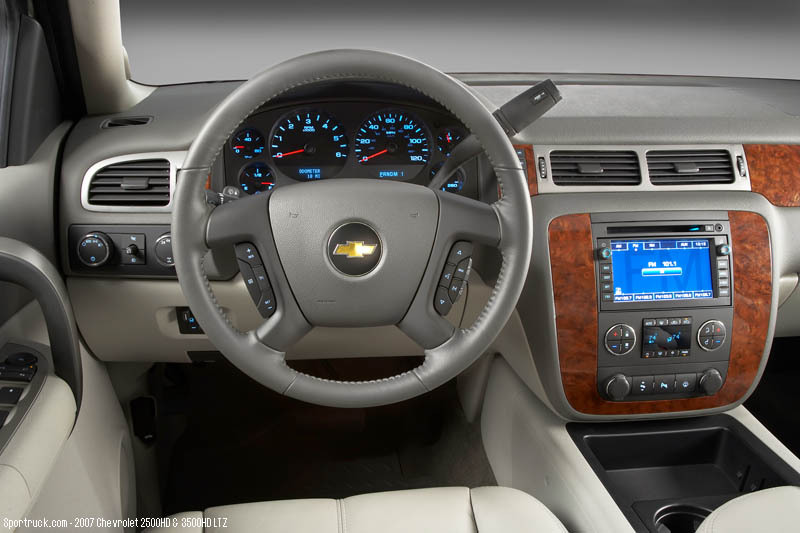 The upscale LTZ trim level uses a more upscale interior, with its own distinct instrument panel design, center console, door panels, seats and other trim elements. 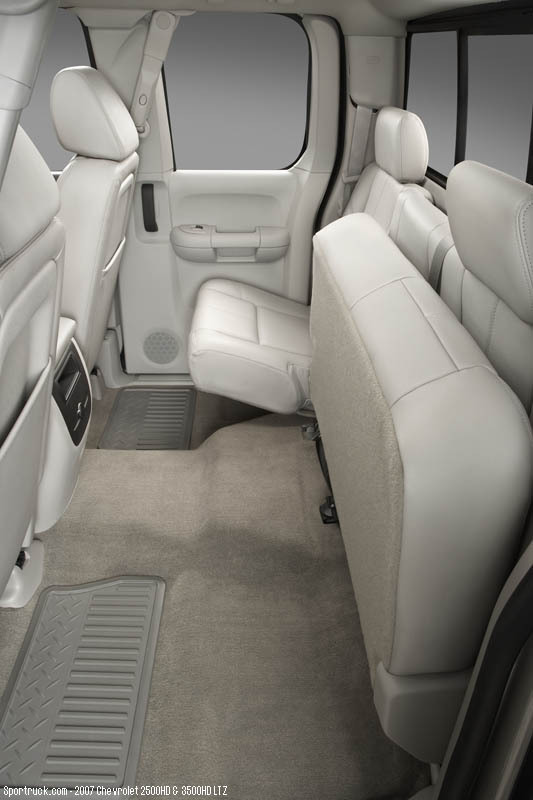 Features on the premium interiors include power-adjustable heated bucket seats, leather surface seats, leather-covered steering wheel and chrome trim. 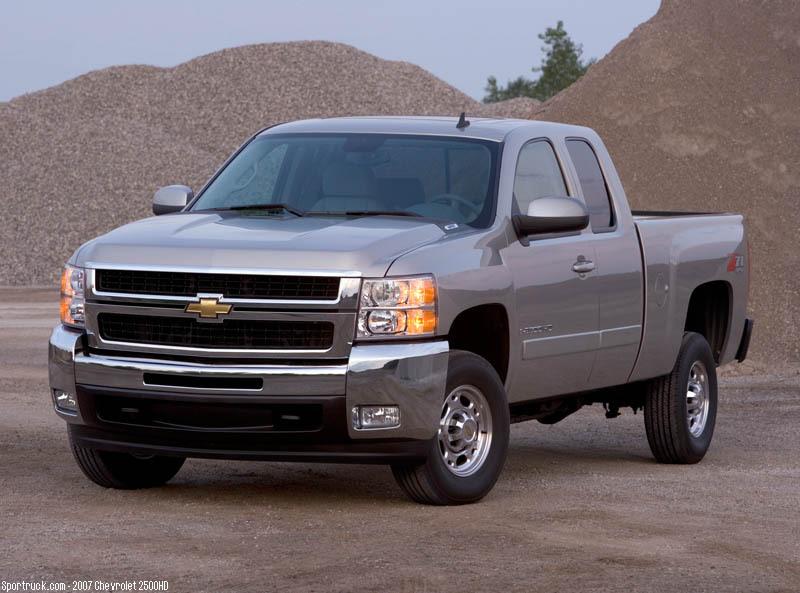 The standard engine is a new, Gen-IV 6.0L gasoline V-8 with variable valve timing. 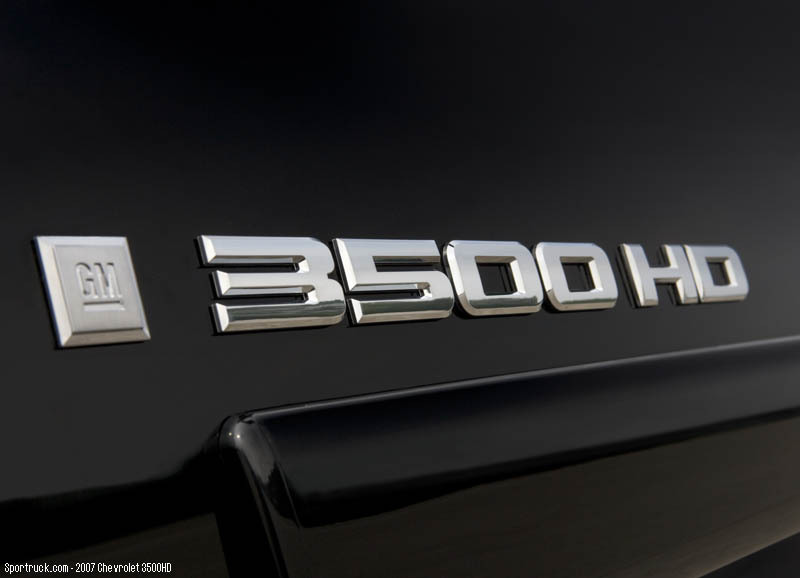 This engine is rated at 353 horsepower and 373 lb-ft of torque. 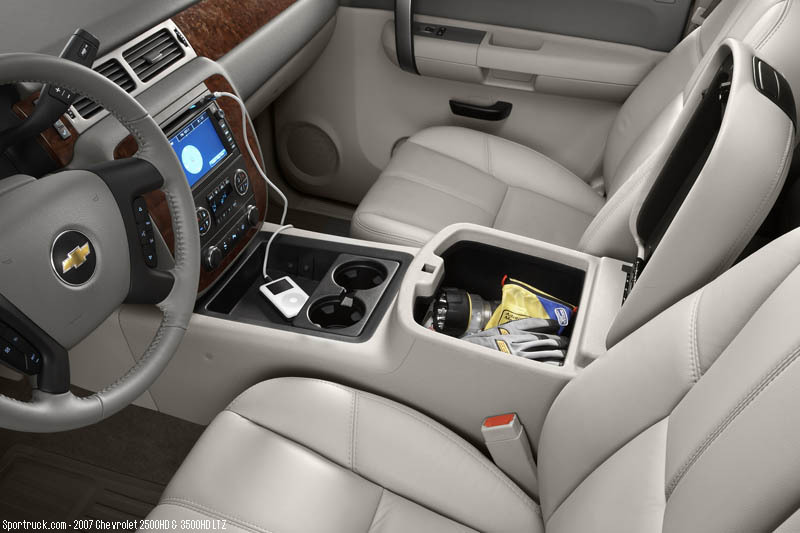 The engine is backed by a new Hydra-Matic 6L90 six-speed automatic transmission featuring two overdrive gears and manual tap up/tap down control. 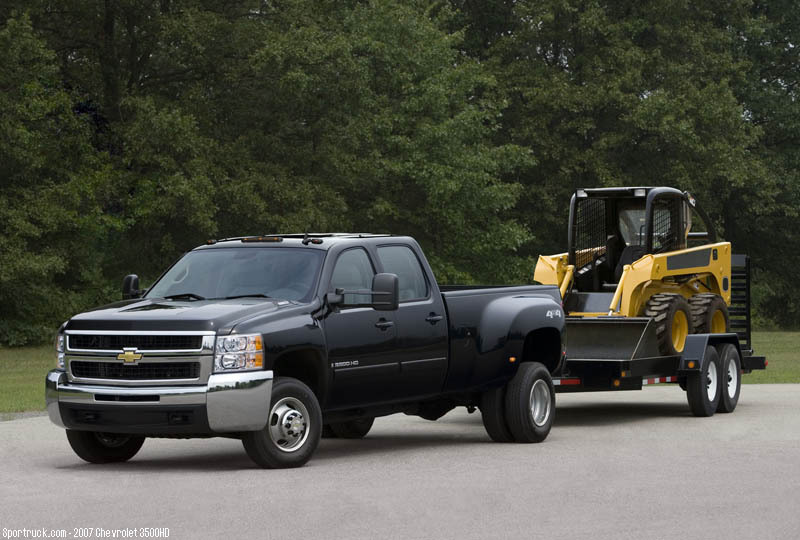 With this combination the truck has a maximum gross combined weight rating (GCWR) of 18,500 pounds. 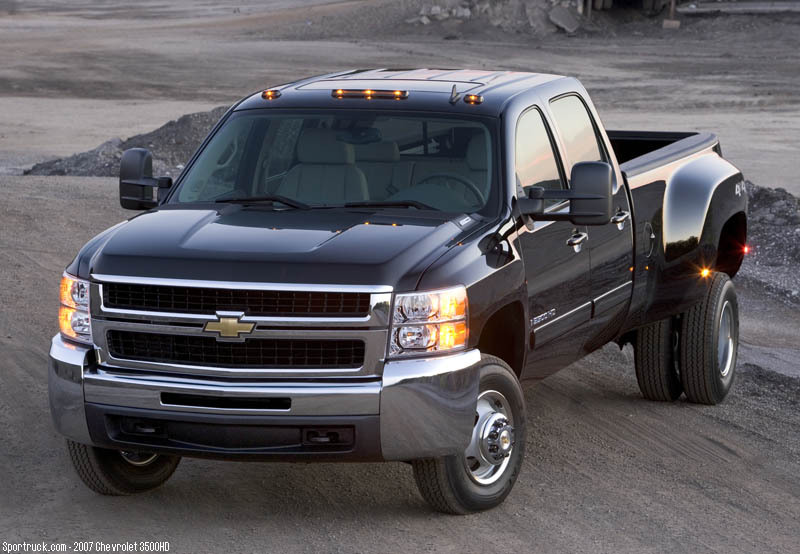 For serious hauling, the Duramax 6.6L turbo-diesel engine is available. It leads the segment in power and torque, with 365 horsepower and 660 lb-ft of torque. 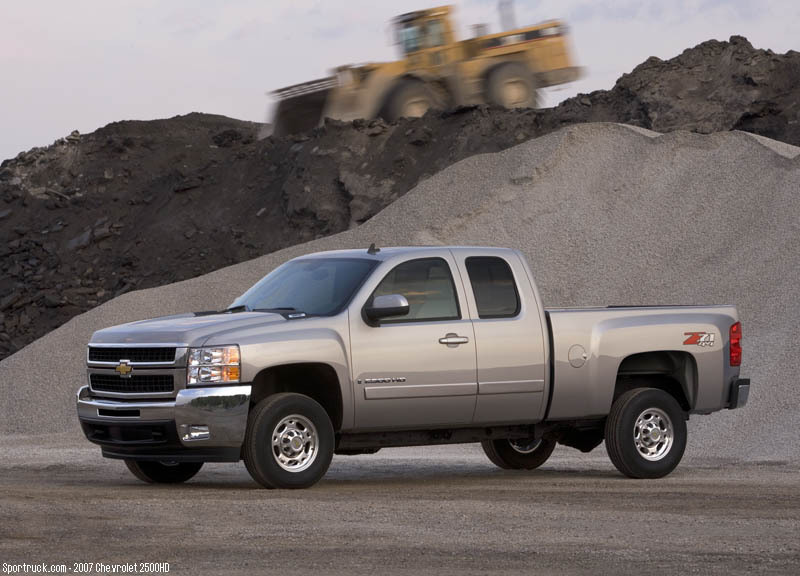 Various upgrades to the Duramax include a new filter system help provide a 90-percent reduction in particulate matter and a 50-percent reduction in NOx (compared with current standards), meeting a new federal government mandate. 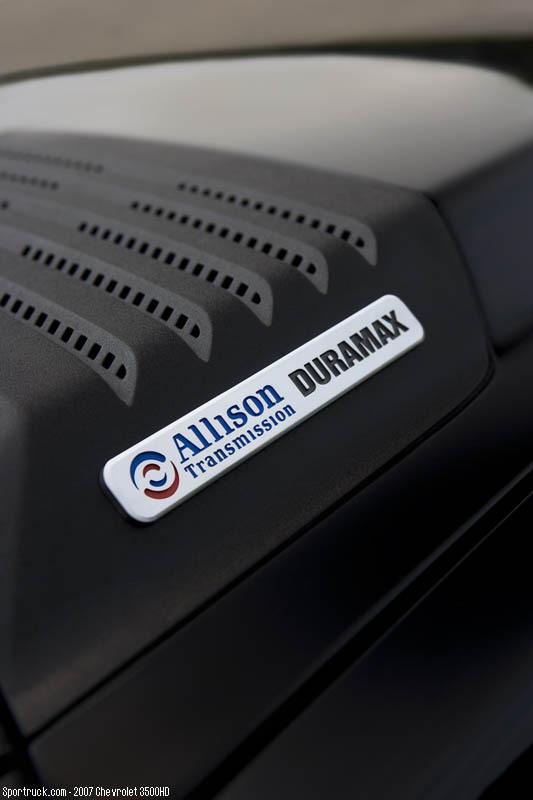 The diesel engine is paired with the workhorse Allison 1000 six-speed automatic transmission. 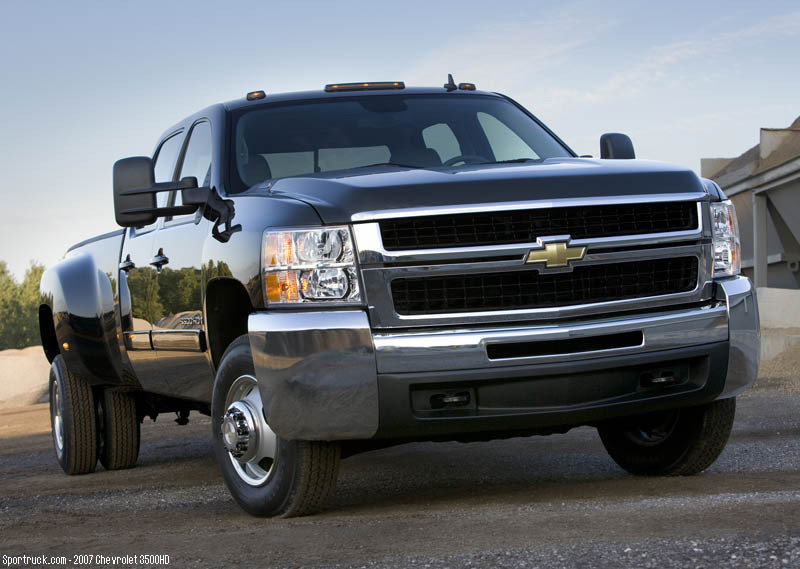 The new heavy-duty frames are comprised of a ladder design with reinforced cross bracing. It uses a segmented design to accommodate the various lengths of five different wheelbases. The frame sections are connected using overlapping segments for maximum strength and rigidity. 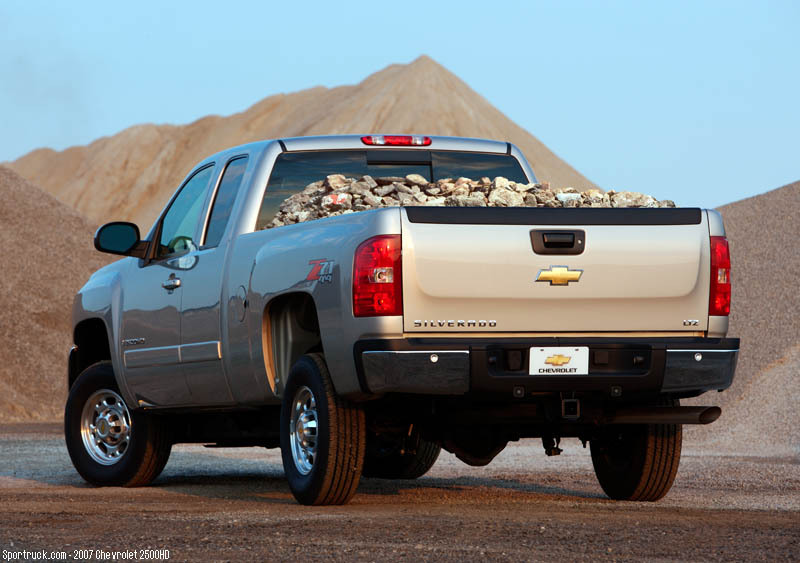 The added strength of the new frame and increased engine power have allowed Chevrolet to offer a 2.5-inch trailer hitch receiver, with a whopping 13,000 pounds of towing capacity. 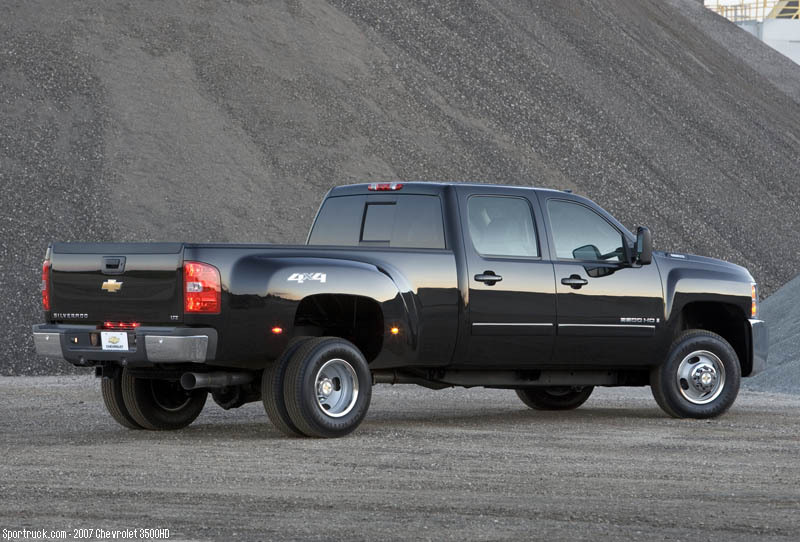 Adding a fifth-wheel hitch will boost the maximum allowable trailer to 16,700 pounds. 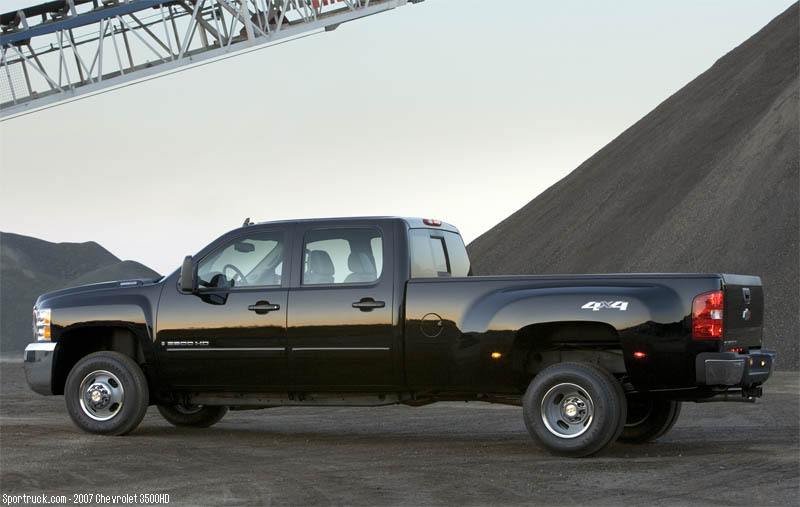 All 2500HD and 3500HD trucks use a wider, 68.6-inch front track, with a 66-inch rear track on 2500HD and a 74.7-inch rear track on 3500HD. 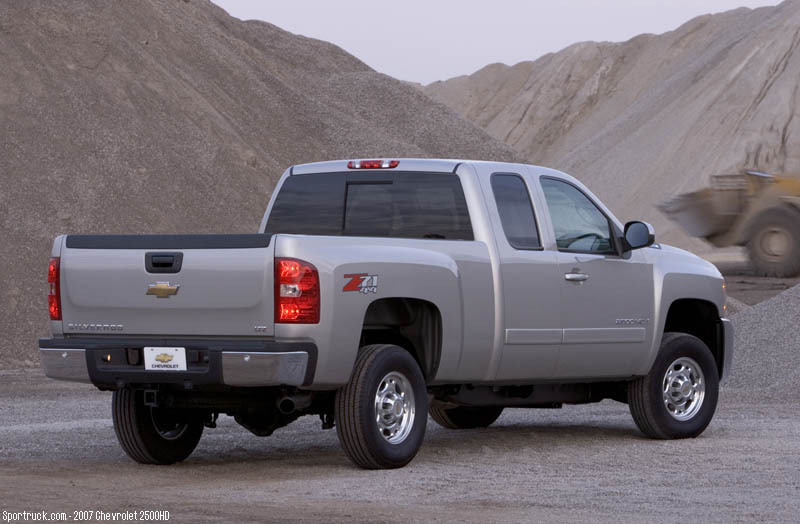 The heavy duty trucks are available with two suspension packages: the standard Z85 and off-road capable Z71. 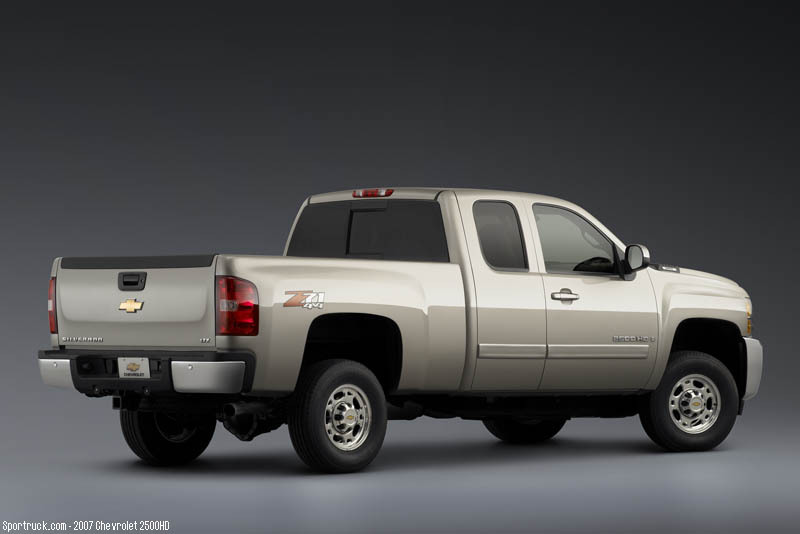 The Z85 suspension is standard on 2WD and 4WD models, while the Z71 Off Road suspension is optional and includes additional chassis and suspension equipment, including skid plates. 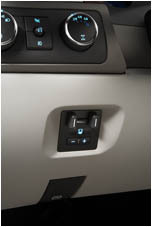 The trucks use new a steering control box of the recirculating ball design, to deliver improved returnability for a greater feeling of control and on-center feel. 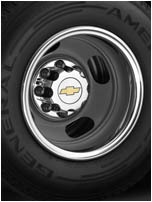 A high capacity, four-wheel disc brake system with Hydroboost and four-wheel ABS is standard on all models. 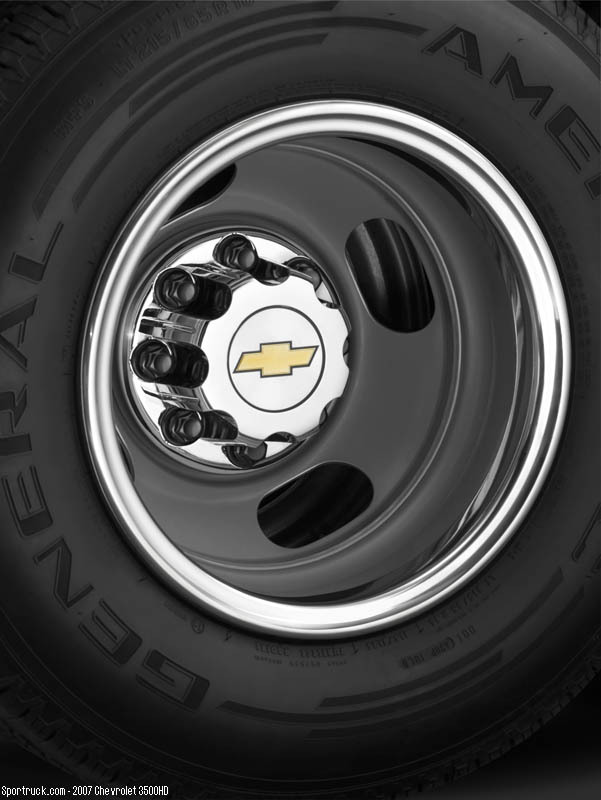 The brake system includes large-diameter front and rear disc rotors and stiff brake calipers, and offers optional brake controller to control electric-controlled trailer brake systems. 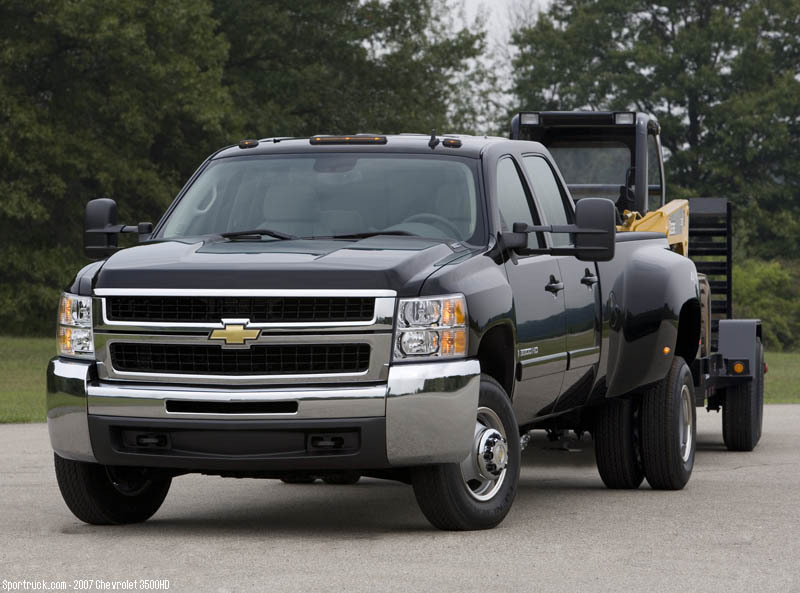 The new heavy duty Chevrolet Silverado 2500HD and 3500HD production will be shared between several assembly plants, including Fort Wayne, Indiana, and Pontiac and Flint, Michigan. 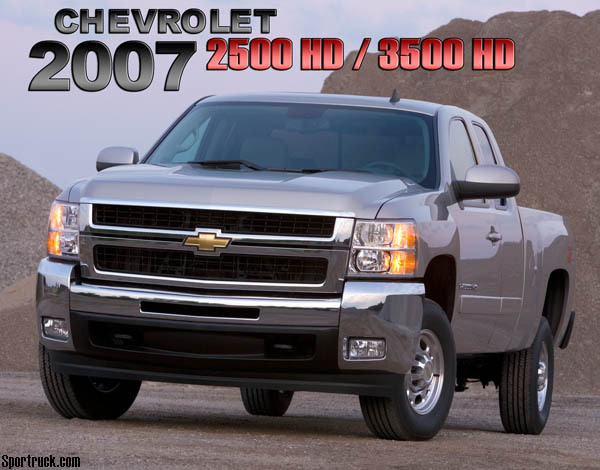 They are scheduled to arrive in dealer showrooms in the first quarter of 2007.